Many people, rather than insist that local governments do the jobs for which they were created and are best suited, seem to harken instead back to the late 1700s. Back then, rather than handling general upkeep, local governments would issue ordinances obliging each person in the city to clean or repair that portion of the street abutting their house or shop. That all changed after the American Revolution but it seems that local administrators in communities such as Durham, North Carolina where I live are trying to return to the era of “government by delegation” by neglecting community upkeep while pushing it off on volunteers. “By 1820, the number with over 2,500 had increased to sixty-one, but only five had populations over 25,000 and 7% of Americans lived in cities, while a third of England did with a comparative population. 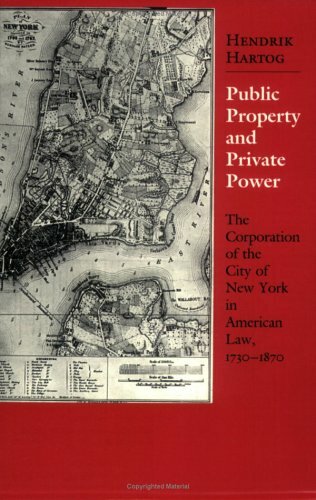 Within that span, New York City had also exchanged its Royal Charter to transform as a municipality under the authority granted by the state legislature. It had also set up a public work force to clean its streets and wharves. Rather than relying on the inconsistent efforts of residents by eternalizing those responsibilities, NYC had “become an institution financed primarily by public taxation to handle public concerns,” beginning with community upkeep. By 1805, it had done the same with public health. In short, following the Revolution, cities and towns moved from externalizing “shoulds” upon residents to implementing scalable, consistent solutions in the public interest. Today, there are 89,004 local governments in the U.S. including 3,031 counties (down since 2007) and 19,522 municipalities (up since 2007) and 12,884 school districts (down since 2007.) The majority are special-purpose districts such as fire, water etc. Local government concern for overall community upkeep upon which these institutions were originally anchored more than two hundred years ago, may have peaked following a spike of renewed emphasis during the Progressive Era, which also gave us city manager forms of government, planning, beautification and urban forestry efforts etc. Today, local governments seem more likely to neglect community upkeep or to leave it to elected officials as a one-off add on or hope that residents who cite it as a high or very high priority overall in scientific polls will become fed-up and try to fill the void. Local governments have devolved back two hundred years into “government by delegation,” forgetting the lessons of their origin and the American Revolution. Rather than fall back to well-meaning efforts by volunteers to fill this void which, while cathartic, are never adequate or scalable enough, maybe we need another Revolution. Or maybe we need historical exhibits like one in San Francisco right now entitled Urban Olfactory which recreates the smells of neglect in cities past to remind us of the gaps local governments must fill. One of the major reasons for this current state of neglect is that local government accounting never connects the dots between sources of revenue and areas of expense. This is why periodic reports are so inconsistent and incomplete when they report that various public facilities have or have not resulted in a deficit. They only rarely incorporate tax revenues generated by facilities beyond their doors. Blinded the news media fails to dig down into the numbers. Durham local governments are again pinching down efforts at community upkeep this year due to a problem that is self-inflicted. Ostensibly, the reason is to avoid tax increases even for items of neglect. This way of thinking resulted in bonds to repave streets recently at many times the cost to taxpayers that periodic tax increases would have meant. Those of us who have worked to pass bonds over the years, did so based on computations of the miniscule increases they would mean to our taxes. But this is where the problems plaguing local governments today begin. Instead of immediately increasing taxes after a popular vote, local administrators and elected officials cross their fingers hoping that economic growth will absorb the costs instead, which it sometimes does. But instead of levying the increases when voters approval was given and then issuing a refund if and when the revenues aren’t needed, local officials walk themselves into a trap when growth in the economy is not sufficient to hide the costs. Plagued by looming debt service, they don’t want to explain to tax payers that the cost of bonds weren’t levied after each favorable vote and now need to be levied years later when memories have dimmed. So instead, they double down the squeeze on things they think we won’t notice such as community upkeep. Only we do notice. And left no explanation other than ineptitude, we are left mumbling to ourselves that local officials just don’t get it or they lack political will or they fail to connect the dots between community upkeep and curb appeal to economic development and increased valuation. And that is the stuff of revolutions.